Newbie: You have to answer 5 basic IPv6 questions correctly. Enthusiast: You have to prepare an IPv6-ready web server so that Hurricane Electric can access your web server through IPv6 connectivity. 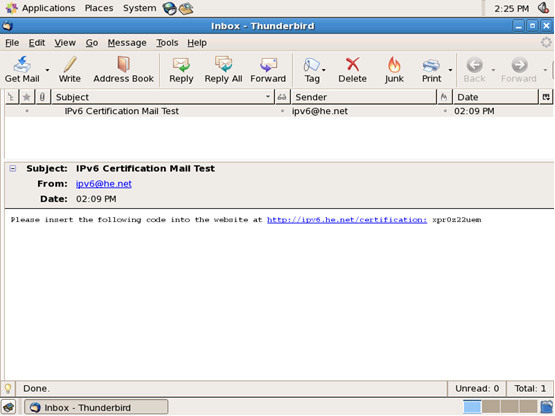 Administrator: You have to prepare an IPv6-ready mail server so that Hurricane Electric can send email to your IPv6-ready mail server. 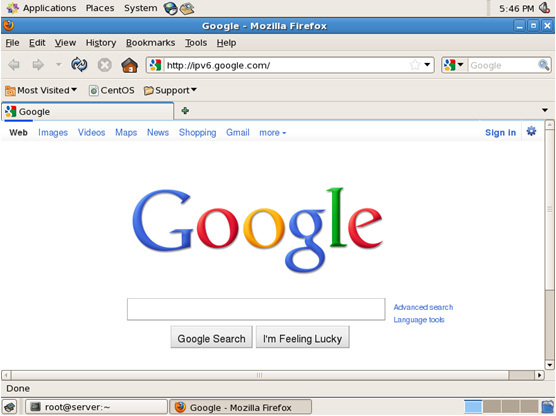 Professional: You have to prepare an IPv6-ready DNS Server with reverse lookup function. Guru: You have to prepare an IPv6-ready DNS Server with authoritative response. Sage: You have to prepare IPv6 glue for your name server. 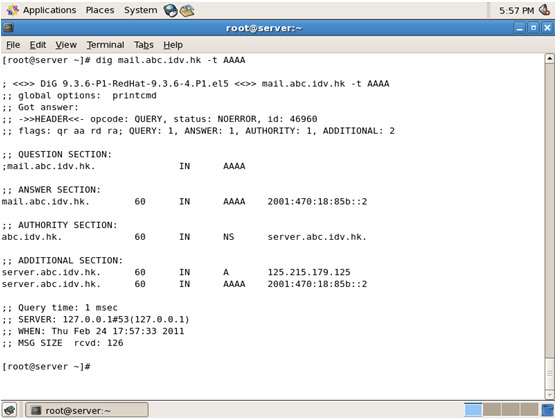 7.4.3 Lab: Adjust the IPv6 router to send Router Advertisement every 5 seconds. 7.4.4 Lab: Dual Internet Routers connection. 7.4.5 Lab: Dual Internet Routers connection with preference. 8.3 Configure M or O flag in Cisco Router.